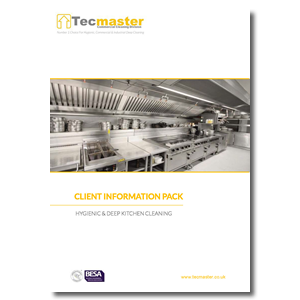 Tecmaster has been established since 1995 and with over 600 sites in our portfolio including Schools, Councils, Hospitals, Care Homes, Hotels and cafes we are rapidly becoming a leading commercial contractor within the cleaning industry. Our fully trained and experienced staff use the latest equipment and access methods, enabling us to deliver a safe and cost effective solution to any commercial cleaning problem. Tecmaster is committed to delivering a professional & comprehensive cleaning service for each and every client. Our process is clear and defined and at all times we strive to meet our client’s needs. Tecmaster work to a very high standard and we are pleasantly surprised by their professionalism and thoroughness. The team are both flexible and conscientious and we are pleased we can rely on a hygiene partner as committed to our business as they are. We have been working with Tecmaster for a number of years and they have proven to be reliable and flexible at all times. Their standard of work is high and they can be trusted to do a good job with only minimal supervision. They have completed major projects for us at short notice and nothing is a problem. The team are a pleasure to deal with and go to any lengths to make sure we are satisfied. For many years duct and kitchen cleaning in our businesses has always caused me loathing! This year we decided to change to Tecmaster and things have changed – Fair & competitive pricing with great delivery helping raise our own kitchen standards. We have used Tecmaster for a number of years and have always found the management and staff keen to provide an excellent service. The onsite operatives are always presentable and there work is 1st class.